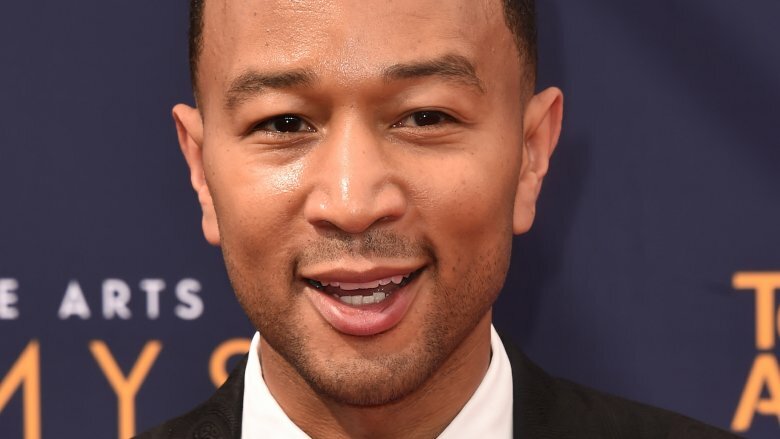 "All of Me" artist John Legend just joined one of America's most popular TV competitions — The Voice! Variety reported the big news on Thursday, Sept. 13, 2018, revealing that Legend will be joining Maroon 5's Adam Levine, country crooner Blake Shelton, and singer Kelly Clarkson as one of the coaches of the 16th season of The Voice. "I'm thrilled to join the coaches of 'The Voice,'" Legend said in a statement obtained by the publication. "I've been a guest and mentor on the show multiple times and I'm so excited to discover talented singers and help them make the most of their gift." Legend added, "I hope the world is ready for #TeamJL." Paul Telegdy, President of NBC Entertainment's Alternative and Reality Group, also released a statement to the press, commenting on Legend's new role. "John Legend is a one-of-a-kind musician and producer with remarkable skills that are beyond measure," Telegdy said (via E! News). "His multi-dimensional career and incredible talents provide a repertoire that will excite and inspire our artists. This coaching panel is sure to ignite season 16." 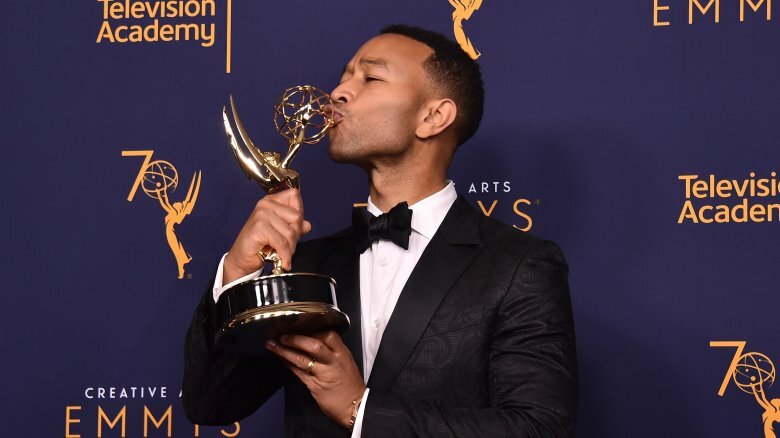 Just days before the Voice news was announced, Legend made headlines for winning an Emmy for his performance in NBC's Jesus Christ Superstar Live in Concert. The award secured his place in entertainment history by making Legend an EGOT winner — someone who's won an Emmy, a Grammy, an Oscar, and a Tony. As CNN noted, Legend also became the first African-American man to ever join the exclusive EGOT club. At 39 years old, he's also one of the youngest EGOT winners in history. Fans of The Voice will have to wait a little while to see John Legend in a coach's chair. Before he coaches hopeful contestants on the series, the 15th season must first air with fellow stars Levine, Shelton, Clarkson, and vocal powerhouse Jennifer Hudson. The 15th season premieres on Sept. 24, 2018, at 8 p.m. on NBC.